The Stippling Brush, like all So Eco brushes, is 100% environmentally-friendly. The brush and the packaging are fully made from recycled and sustainable materials that are bio-degradable, recyclable and compostable. The brush handles are made from bamboo, the aluminium is recycled, it's held together with water-based adhesives, the packaging is made up of FSC approved cardboard, the window is made from corn starch and the print is made from vegetable inks. On top of that, they are also cruelty free! The handle has indents in it for easy grip and this brush has bristles that come cut at two different lengths (and were hand cut) to create great colour payoff and added definition. The colours of the bristles are also picked to enable you to see how much product has been picked up. 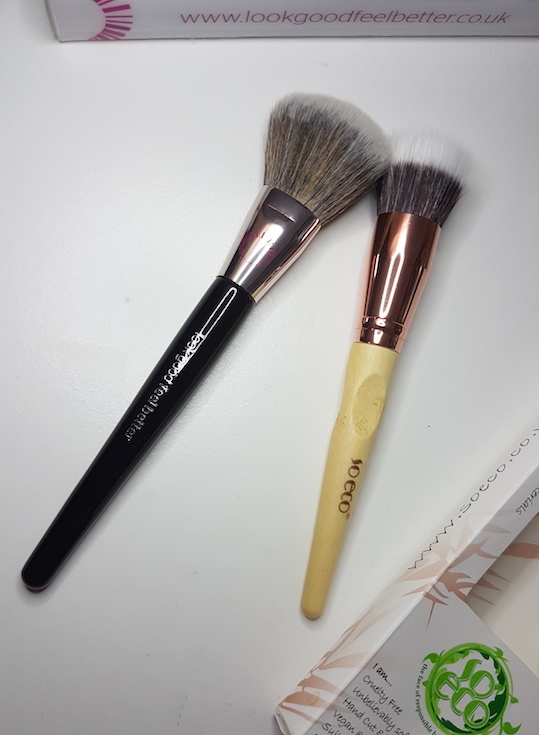 Unlike the original So Eco brushes, these brushes have a pretty rose gold shade on the metal part that binds the bristles to the handle (the ferrule). The brush itself is fairly lightweight and easy to hold and manoeuvre and the bristles are soft to touch. It isn't as soft as MAC's 187 brush (as an example), but it does work well. I've tried using it with both powder and liquid products and had great success with both. The bristles aren't densely packed in, so when buffing in liquid product such as foundation it can sheer it out slightly. You can always go in again though for more coverage if you want to. 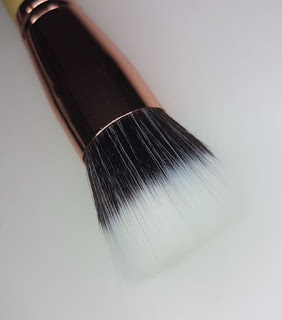 For powder product, such as blush, I find that this brush gives a beautifully airbrushed type of finish which is great if you want a nice, soft focus effect with your cheek colour. In regards to washing, it takes a couple of washes to fully get the product out, but otherwise it washes well, the bristles don't fall out during cleaning and it holds its shape well. If you're looking for an affordable Stippling Brush that is also good on the environment, this is well worth checking out. Whilst I have explained in more detail about the charity Look Good Feel Better in the intro, that's not the only good thing about these brushes. 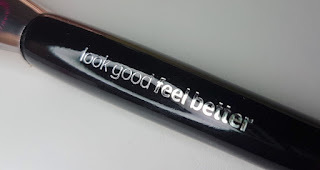 The bristles on all Look Good Feel Better brushes are hand cut, allergy free taklon bristles. They are also environmentally friendly and suitable for sensitive skin. 12% of each brush and brush set sale goes straight to the charity itself, meaning that you can easily contribute towards the fantastic workshops and master classes that they hold for patients. You too can look good with your new brushes and feel better by helping others! The Blush Brush is very soft and fluffy, and not too over-packed with bristles. It picks up the perfect amount of blush to cover the apples of the cheeks and it blends it out beautifully. Even the brightest, most pigmented blush I own goes on easily and without being either overpowering or badly blended. It also washes well and holds it shape nicely. Product comes out of it easily so you don't need to excessively wash it to remove all the product stuck in it. Whilst the charity side of it is great, the actual brush itself is a fab product for its price point for sure. Overall, I'm really liking both of these brushes. In particular, I really love what both of these brands stand for, and both brushes feel great to use for a multitude of reasons because of the whole meaning behind each brand. Even if you choose not to purchase any of the brushes, I do ask you to please support the Look Good Feel Better campaign. Whilst it may feel good to buy new stuff, it does feel better to help towards putting a smile on someone else's face. I donated before posting this post today, so if you are able to, please check out the Look Good Feel Better donations page or check out their website for other ways that you can help! If you would like to purchase brushes by So Eco or Look Good Feel Better, you can do from Amazon and Feel Unique, respectively. 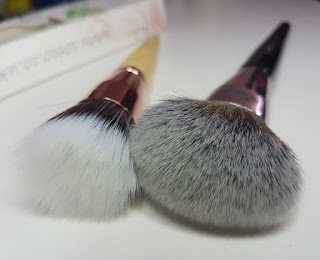 What are your thoughts on the So Eco Stippling Brush and the Look Good Feel Better Blush Brush? Have you tried any other brushes from these brands?